Start taking classes at Hot Yoga 1000 and other studios! This is the Traditional, Hot 90-minute beginning Bikram Method class with 26 postures and 2 distinct breathing exercises. At Hot Yoga 1000, we designate this practice as, "The Holistic Medical Code." We fix what's broken and enhance what's already working! The technology applied in the 90-minute sessions follows an 11 body system model and stimulates proper function, strength and healing in the Circulatory, Digestive, Endocrine, Immune, Integumentary, Lymphatic, Muscular, Nervous, Reproductive, Respiratory, and Skeletal systems. Not only does our practice enhance these systems individually, our practice promotes harmonization of the interactions within and between these systems. The primary objective is optimal health! A traditional hatha yoga studio focused on optimal health and enhanced personal performance. There are no upcoming “Traditional Hot 26-n-2” classes on this day. Please bring a mat and large towel (beach size). Water mats and towels are available for purchase at the studio. During peak times, please limit showers to 3-minutes or less. Please wear clothing suitable for fluid and free movement. Really enjoyed visiting this community. Really hot and really clear instruction. Will definitely be back! Love it and its just sooooo hot. Hotter than Modo its great if you can acclimate. 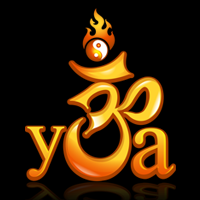 I'm new to hot yoga, and yoga in general but it was easy to follow.